Due to sustaining a thumb injury during an intense game against Russia, Matt Murray will be unavailable to Team North America as they face off this afternoon against the Swedes. Pittsburgh native, John Gibson, will start when Team NA takes the ice in Toronto. It will be Gibson's first game back since Sept 11th, a pre-tournament game, when he made 29 saves when Team NA defeated Europe. Previously scratched Connor Hellebuyck will act as the backup goalie. Murray started the first two games of the tournament but was removed from the game Monday after facing a full assault from Team Russia and a barrage of goals were let in. Soon after the thumb injury, he was taken out of the game and replaced by Gibson. Gibson went on to stop all the shots taken at him (six in all) in what would end up being a losing effort by Team NA. 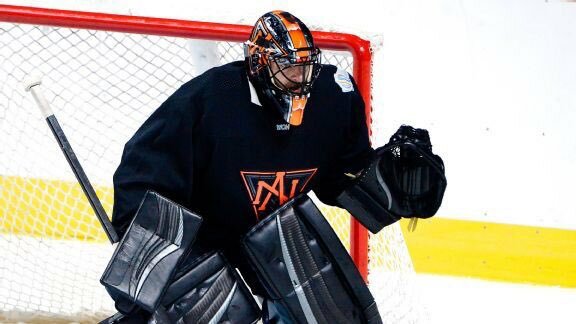 This comes as a huge blow to the much-loved Team North America as Matt Murray has already established himself as a prominent force in goal and was believed to be one of Team North America's best chances at proceeding far into the World Cup tournament. Team North America and Team Sweden face off at 3pm EST in what is the final preliminary round game for both teams.